Alright Apple fans, if you’re running late on the Thanksgiving cooking and haven’t made an Apple pie yet, you should probably toss whatever idea you had out the window and take the extra time to make this super geeky and cool Apple logo apple pie. The Mac Mini Apple pie is basically your standard delicious apple pie baked in a rounded square tray that just happens to be shaped like a Mac Mini, topped off with a very well designed Apple logo. 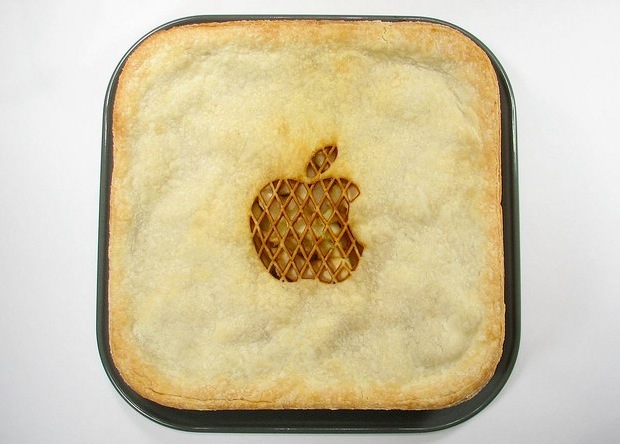 Cut the  logo with whatever you want, but the guys that came up with this recipe went all out and used a laser to cut the Apple logo, which is why it looks as perfect as it does.